Periphery has been a force to be reckoned with since their debut album in 2010. That self-titled album quickly became somewhat of an instant classic among the then-fledgling djent scene; it set itself apart from the seven-stringed crowd by infusing the low tunings of djent with a prog metal sensibility reminiscent of bands like Animals As Leaders. The sextet from a state solidified their position as the face of djent with their second album, which, like most sophomore albums, took the sound of their debut, refined it, and added another layer of polish. Now, after nearly three years, Periphery has revealed not simply a new album, but a double album (though the combined length of the two only slightly eclipses the length of either of their previous efforts). Entitled Juggernaut: Alpha and Juggernaut: Omega respectively, these albums assert what the their first two albums had introduced to us: that Periphery is a solid band, here to stay. Juggernaut: Alpha starts slower and more gradually than previous albums, initially leading me to believe that the band’s sound had become softer, but the comparatively gentler tone of the first track is suddenly and violently uprooted by MK Ultra – an initially blistering and heavy track which rivals any previous Periphery work in sheer heaviness, but curiously ends with a jazz fusion-esque outro before leading into the following track. While the transition may seem jarring when described, it is expertly pulled off. It took a second listen of the albums for me to even realize how drastic a change had occurred in this track. Moments like this are peppered throughout the album, showing that Periphery has widened their horizons. They now range from moments even heavier than their typical djent sound to those inspired by jazz and lighter rock. In fact, these lighter moments are one of the most noticeable evolutions to anyone who has listened to the preceding albums. Those who bashed the Clear EP for its willingness to experiment will likely be equally dissatisfied with Juggernaut: Alpha. Plenty of songs here are simply not djent – and that’s okay. Juggernaut moves noticeably away from the tropes of djent which as of late have become more and more predictable. Open-string chugs are still present, but used more tastefully, resulting in a precise punch when they appear. Moments exist in which it doesn’t entirely “work,” but they are few and far between. Periphery’s willingness to move outside of their comfort zone more than makes up for the few moments in which ideas are imperfectly executed. Juggernaut: Omega is the yang to Alpha’s yin. While Alpha is more focused on melody and songwriting, raw energy is at the core of Omega. It strikes a better balance between vocal and instrumental lines than most of Alpha, giving each their due time to shine and create a more coherent sound overall. Pleasingly, the high points are the final two tracks (Omega and Stranger Things), both of which showcase the best of the sound of this album. They weave effortlessly between tight, heavy sections and soaring melodic lines, closing out the album on a high note. Spencer’s vocals are on the front burner for nearly the whole of Juggernaut, more so on Alpha. While not the change I expected, it was a welcome one, as his vocals have always been fantastic, and have improved on this album in nearly every way. When singing, his range seems to have grown even larger than before – a feat I would have expected to be impossible. The tone of his singing changes with the tone of the music as well; he employs a nasal sound similar to that of a punk vocalist in lighter songs, and simply sings “heavier” on heavier songs. Even more impressive is the way in which his screams have rounded out over time. Since Periphery’s debut, his screams have grown from monotone to a well-controlled scream that ranges from shrill high screams to all but the lowest growls. I would go so far as to say that Spencer Sotelo is simply the most versatile vocalist in metal today, and certainly one of the most talented. Guitar, bass and drum work is just as quality as one should expect from a band with Periphery’s track record. Quick, tight riffs and drum beats are often just the backing for the vocals, yet it’s easy to see that Juggernaut could even stand on the merits of its instrumentation. However, vocals often complement the slower and more repetitive instrumental sections, and vice versa. Periphery is no longer guitarist Misha Mansoor’s baby, it’s a cohesive group that apparently works best together. The way the albums are structured, vocals and instruments weave in and out of each other harmonically and tonally in a way that the band has rarely been able to achieve before. On-point production helps achieve this, as every instrument is easily discerned on its own and isn’t ever lost into a muddy mix. Periphery has always produced their own music, and has improved that skill massively here. Lyrics are still unclear in the typical secular metal fashion, but seem more open to interpretation. There’s a definite theme of despair and redemption occurring, as Spencer sings first on 22 Faces: “Staring at the hourglass / My life, it feels like a machine running with no direction / I’m dying to see what it is that is eating away at me / Why can’t I feel the burn?” Yet from Stranger Things, we hear “Take submission from a man in control / A token for my sacrifice / Let it pour out and show what has healed / One can finally find what’s left inside this masochistic personality / In a holy bond we live.” Again, the actual message is unclear, but can be interpreted a number of ways. From a purely aesthetic standpoint, the lyrics are definitely some of the best that Periphery has ever written, yet seem to offer even less of a didactic point than before. Juggernaut: Alpha and Juggernaut: Omega are fantastic albums, and if you have any inclination to enjoy metal, you should listen to them together as soon as you can. More could be said about them (the atmospheric tone, the drum experimentation, the fusion influences), but suffice it to say that they are in almost every way the most artistic and beautiful output from Periphery. I will be eagerly anticipating new releases, in the hopes that they maintain a long and fruitful career. Take your average electro artist, and he’ll be the equivalent of a decent rock band. That’d make German EDM artist Zedd the equivalent of an orchestra. 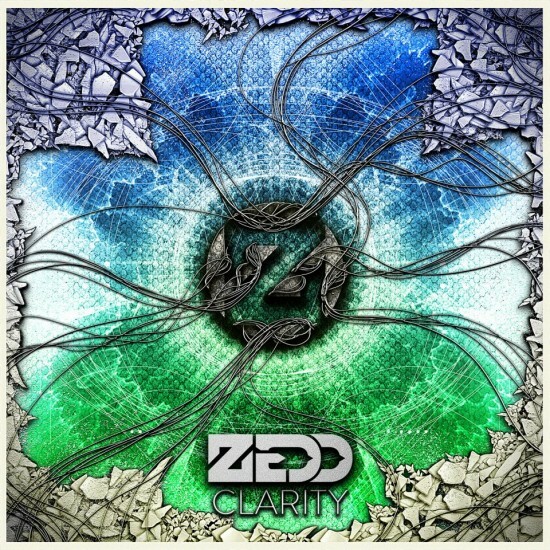 His debut album, Clarity, displays some of the finest music that EDM has to offer, whether in the form of progressive electro, vocal electro or complextro. (Yep, all “-lectro” derivatives.) Comprised mostly of soaring vocals, fuzzy synths and complex bass hooks, this album is one of the best debuts I’ve heard in a long time. Zedd got his beginnings with some decent complextro, heavily influenced by artists such as Wolfgang Gartner. (Complextro is a subgenre of electro music defined by melodic and complex bass lines, originaly coined by Wolfgang Gartner.) This influence is definitely noticeable on Clarity, mostly on straight-up bangers like “Shave It Up” and “Stache.” The guy definitely knows what sounds good in a concert or party setting, as I’m sure these songs are crazily popular at his concerts as a result of their memorable hooks and wall-shaking basslines. However, Zedd’s best tunes are definitely his vocal electro tracks. While you don’t hear vocals too often in electro (while they’re found more often in dubstep or trance), they work incredibly well here. Due to some connections in Skrillex’s label, OWSLA, he’s fetched some great vocal talent to complement his instrumentation, including British singers Foxes and Ellie Goulding. These combinations work so well that you really just have to listen to them. Zedd knows exactly how to balance the soaring vocals and his own electronic sounds so that they’re both prevalent, yet never overshadowing each other. He also knows exactly what sounds to use and when to use them to display the emotions of his songs effortlessly, whether it be a bittersweet love song or an on-top-of-the-world feeling. “Hourglass” is one of my favorite electro tracks ever. This bittersweet vocal and piano-driven masterpiece is the definite highlight of the album. “Shave It Up” shows off Zedd’s considerable complextro chops at their best, with memorable bass lines and synths aplenty. “Epos,” the album closer, shows some softer electro, combined with complextro and a unique chord progression for a unique and memorable track. “Lost At Sea” is a decent song, but the lackluster songwriting and bland melodies single it out starkly against the rest of the album. “Codec” has an interesting melody, but the drops seem underproduced and the melodies too simple to live up to the tracks around it. With Clarity, Zedd has certainly made himself noticeable in the EDM community, with his own unique takes on vocal electro and complextro. It’s not perfect, but it’s one of the best debuts I’ve seen in a long time, and possibly my favorite EDM album. One thing’s for sure: Family Force 5 doesn’t like to put out the same album twice. This idea carries over into their latest album, The Third. 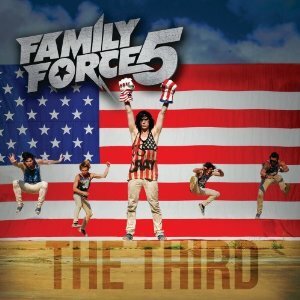 When Family Force 5 released their aptly titled third album, III, there was a bit of an uproar, caused by the Family’s seeming departure from their 100% clean lyrics. Songs like “Mamacita” and “Dang Gurl,” though not nearly as troublesome as most tracks from the “party” scene, were less innocent than most fans would have preferred. Whether it was by the record company or by the band, the wise decision was made to re-release the album with an altered track list. Now titled The Third, this album sports eight tracks from the original album, with the less fortunate tracks replaced with two songs from the III.V EP. The question is not whether the album was improved by this decision, but whether the Family’s latest lives up to their previous material. Their debut, Business in the Front, Party in the Back, was a fresh, original “crunk rock” record, full of crunchy guitars and hip-hop beats. Dance or Die, their sophomore album, was an equally unique dance album, harkening back to the 80’s. The Third takes an approach closer to that of modern pop, whilse still retaining some of the Family’s freshness. However, something this album severely lacks is a sense of continuity. One can expect some changes in flow from a re-release, but the frequent changes in guitars and synths do not work in its favor. These stylistic changes give the album a disjointed feel, which is disappointing. It feels less like an album as it does a collection of songs. And, as would be expected with an album so disjointed, there are definite highs and lows. The lows of this album are songs that are hard to categorize into a genre. If I were to name it, it might be called “whatweretheythinking.” Songs like “Can You Feel It” and “Get On Outta Here” are not only meaningless lyrically, but their music is nearly cringe-worthy. As I said before, the songs are highly unique, but that doesn’t make them good. However, the pitfall that most of this album falls into is the category of mediocre songs. (Random note – there really ought to be an ode to all songs from this category, titled “Land of Misfit Songs.”) I cannot recall a single note of “Superhero” or “Not Alone,” whereas some songs I would have preferred to have forgotten. Songs like “Wobble” and “Zombie” are fun to listen to, but will likely be out of your playlist after the first few listens. Lyrically, the band hasn’t improved much, or at all, yet this isn’t necessarily a bad thing. Family Force 5 has never been a preaching band. They’ve always provided good, clean party music with a positive message, without shoving the Gospel in your face. While this may not sound like a great evangelical strategy, it allows them to witness and empathize with people who otherwise wouldn’t have heard the Gospel or would have ignored it, which they have been known to do – frequently. However, I generally look for artistry in lyrics, which is a large reason why I love music, and there’s not much artistry here. It seems most of the lyrics are meaningless, which seems like a “dumbing down” of a project that could have been much more. But FF5 has always been this way, so if you’re okay with a simple, positive message, you’ll probably enjoy The Third. “Paycheck” – Family Force 5 has done what few bands have been able to do before: create a song about money that doesn’t idolize it. It takes the best elements from their first two albums and combines them with a message inspired by some of their fans. “Love Gone Wrong” – Similar to “Paycheck,” this song tells a story using the best elements of the Family’s reportoire. “Cray Button (ft. Lecrae)” – I feel like a hypocrite. Not only do I hate overproduced pop music, but I find the word “cray” (a replacement for “crazy”) incredibly annoying. Yet, while this song falls under both categories and doesn’t fit in with any other FF5 song, I can’t help but love this catchy, bassy tune. “Get On Outta Here” – A rather meaningless song, seemingly about kicking some guy out of a club. Even if Satan is the metaphorical party crasher, it still feels mean-spirited and lame musically. “Can You Feel It” – This song is…weird. It’s pretty hard to describe, you really just have to listen to it (or ignore it.) Lyrics are equally mediocre. With “The Third,” Family Force 5 has created a rollercoaster ride of highs and lows. Some people may choose to buy it simply because they enjoy the band, but because of the stylistic change, I’d recommend listening to the songs first and picking which ones to buy (if any). That’s not to say “The Third” is a bad album by any means, but it’s certainly not the Family’s best. Call me a hipster, but it seems like they might be going mainstream. 6.5 out of 10 stars. 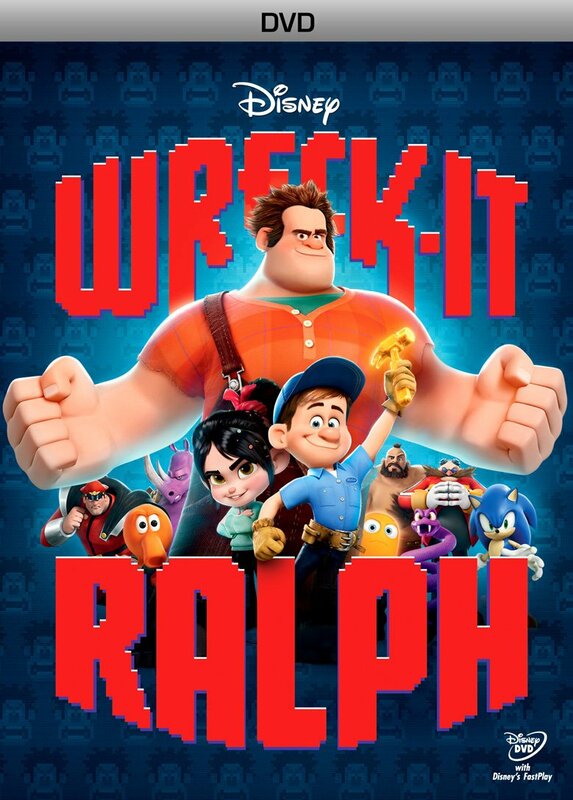 When I started seeing trailers and movie posters for Disney’s newest animated family film, Wreck-It Ralph, my expectations were not too high. I wasn’t expecting the film to be much more than a money grab for the parents of video game-addicted children. When my family rented it for movie night, I was admittedly even less excited. (I secretly thought we should have rented The Dark Knight Rises, though that probably wouldn’t have been for family movie night.) However, when we popped in the disc and started the movie, I quickly was sucked into the universe of the arcade. The premise of the movie is that Ralph is the beefy-handed “bad guy” of the popular arcade game, “Fix-It Felix Jr.” He’s unhappy with his life because while Felix and the denizens of Niceville reside in the skyscraper where the game takes place, he lives alone in the nearby dump. Shortly into the film, he becomes enamored with the idea of getting a medal, convinced that he’ll be accepted. He eventually ends up in the kart racer, Sugar Rush, where he meets Vannelope Von Schweetz, a young girl who wants to become a racer in her game.I can’t say much more without spoiling much of the plot, which is rather complicated for a family film. The premise of the movie actually turns out to be very good. Anyone who has played a few video games before will be grinning when the arcade closes and the characters start coming to life. The way in which the transition from real world to game world happens is very clever, and the transition from pixelated characters to three-dimensional ones is equally so. Inclusion of both old school and new school characters is also very cool. The two best things Wreck-It… has going for it are its plot and its high level of cleverness. The plot, as said above, is pretty complex for a Disney film, but flows well and isn’t hard to follow at all. Anyone who is prone to crying may want to keep a few tissues nearby, because if you connect with the characters well, there will be a few tear-jerking scenes. There are multiple twists in the plot near the end, which are for the most part completely unexpected and turn your assumptions about some of the characters on their head. There are a few minor plot holes (which I’ll refrain from saying), but they don’t ruin the film and are easy to overlook. The best thing about this film, though, is its sheer wit. Most of the jokes in the film are actually worth laughing at, which is more than could be said for most children’s films today. The way characters move and interact with each other correspond to how their games work, some of which are hilarious simply to watch. (Most of) the characters also work together well, and are pretty likeable. Fix-It Felix is actually incredibly funny because of just how good of a “good guy” he is. You don’t even have to like video games to enjoy the movie, because despite the numerous game references and cameos, the plot isn’t centered around them and is therefore easy to follow even for those who know little to nothing about video games. Even my mother, who has never liked video games, enjoyed the film and laughed with the rest of us. However, Wreck-It Ralph isn’t without its flaws. While it’s not terribly prominent, there is some unneeded potty humor in places. While most jokes are tasteful, these seem completely unnecessary. (However, the inevitable comparison between the words “duty” and “doody” admittedly made me giggle just because of how it was presented.) While the film is essentially free of any language, there are also some poorly veiled references to cuss words (“move your molasses,” etc.). What’s really unfortunate is that the biggest flaw in the film is one of its main characters. Vanellope, the girl in Sugar Rush who wants to be a racer, is simply unlikable. Her backstory is actually interesting, and the dilemmas she faces are as well, but her personality can best be described as “really annoying.” Her voice is unpleasant and raspy, and she seems to remain hyper and insulting the entire film. Much of what comes out of her mouth is a taunt of some sort, and these taunts make up most of the potty humor in the film. She’s a main character, so the viewer is treated to her raspy insults throughout much of the film. While having some flaws,Wreck-It Ralph is definitely a good movie. While it’ll never live up to the greats such as Toy Story or Finding Nemo, it’s definitely worth renting and enjoying with the family. I wouldn’t recommend purchasing it unless you really enjoy it, but I would definitely endorse seeing it. 7.5 out of 10 stars. sure you’ll enjoy it. It’s no secret that I have an affinity towards indie bands. While there may be a lot of less-than-interesting music to weed through, once you have, you find a goldmine of artistry, unhindered by producers or record labels. Independent metal band AmeDeus (loosely translated from Latin as “Love of God,” or possibly “God of Love) is a definite example of that unhindered artistry, as shown with their latest EP, Assemble Dismantle Repair, with which they have definitely proven themselves worthy of a record deal. Musically, this sixteen-minute, three track ride doesn’t let up in the slightest. (The tracks are aptly titled “Assemble,” “Dismantle” and “Repair.”) It hits you with grungy guitars from the beginning of “Assemble,” yet complements with almost solely clean vocals for the first 80 seconds, reminiscent of the style of Wolves At The Gate. However, when the screams kick in at 1:20, there’s a sense of raw emotion in contrast to the amount of cleans. The screams are not amazing, though they’re very similar to Mike Hranica’s from The Devil Wears Prada. Still, they’re decent, and as a result of the sparse use, I find myself excited for the next scream section. The instruments of this band really have it all together. The solos and chords are very technical (which, contrary to popular belief, does not necessarily mean that it sounds good), and it works very well with the vocals. In stark contrast to bands like August Burns Red, breakdowns are also used sparsely, but when they’re used, they’re really, really good. Deliciously good. As in, you may grow a beard as a result. (Okay, maybe not.) The band doesn’t seem to follow much of a familiar structure (such as verse / chorus), but there are repeated sections so that you’re not completely lost. There are dueling harmonies and guitar licks aplenty, not to mention many other techniques I can’t name, that all sound extremely good. Lyrically, these guys have written a masterpiece. In three tracks, it seems they have hit on many, if not most of the major points of the Gospel, most of it done through direct paraphrase of Scripture. “Assemble” tells the story of man’s fall, taken from Genesis 1-3. “Dismantle” shows man’s rebellion after being removed from Eden, inspired by 1 Corinthians 1:18-19. “Repair” tells about God’s sacrifice, and later, about how Satan will be removed from power and every knee will bow, taken from Revelation 1: 17-18, among other places. AmeDeus is definitely a band worth a listen. With Assemble… they’ve pulled off their own unique spin on the metal / metalcore genre, arguably better than many bands in the mainstream industry, Christian or secular. With musical artistry and excellent, scripture-based lyrics, this EP is definitely worth your money. Listen to / purchase the album for $3.00 here! Over the years, Red has floated in and out of that zone of Christian bands who are too hard to be called just rock, but aren’t really hard enough to be hard rock. Their debut, End Of Silence, was a gem, but their subsequent releases became increasingly generic. Before releasing their latest, Red promised a change in style, but whether they followed through is a topic of debate. Musically, Release The Panic is fairly sub-par for the band. The singing is hasn’t changed much since the band’s inception, but goodness gracious, Michael Barnes’s screams have become awful! Rather than a unique, raw fry scream like End of Silence, or even his decent false chord scream from the previous two albums, it has been replaced with a lackluster yell / growl, which does NOT compliment his voice at all. His voice when singing is near perfect, which actually annoys me. I enjoy hearing the raw emotion of a singer’s voice, and it’s lost when there’s pitch correction, or when the singer sings different parts then edits them together, which seems to be the case here. I am a firm believer that the band should play the song through from start to finish when recording, rather than piecing it together. The guitars and drumming, in general, have really not changed at all, which is frustrating considering the amount of change the fans (myself included) were hoping for. The differences that the band was referring to are not as apparent as they made it seem. The guitars sound grungier, but that’s about the extent of the change. The really strange thing is how split the album feels. There are heavy songs that are arguably heavier than anything Red has done before, yet the lighter songs sound like they’re made for K-Love. While some of these songs are good on their own, placing them all in the same album makes for a very strange listening experience. Unfortunately, Red has chosen to follow the stereotypical Christian rock formula for most of the songs, which consists of a sung chorus, screamed pre-chorus, and a screamed / sung chorus. While there are a few standout tracks, the music doesn’t stand up to any of Red’s previous records. Lyrically, the songs are very generic. They cover most of the usual topics of Christian rock: Man is fallen, man needs help, man receives help. What’s worse is that there are very few references to God, blatant or vague. Not a great effort. Despite the new screams, “Release The Panic” is still pretty good, especially the chorus. While it doesn’t fit in with the rest of the album AT ALL, “Die For You” is a pretty good song on its own. “Hold Me Now” unfortunately is yet another ‘cry of desperation’ track, but is musically the best track on the album. It’s hard to pick a weakest song from this album – not because they’re all good, but because most of them are mediocre. However, I don’t like “Same Disease.” In addition to yet another song about brokenness, the song comes off as annoying. While I respect Red for trying to branch out, this album was probably their worst. I don’t think anyone would mind if they returned to their unique, post-grunge sound and refined it rather than changing heir sound dramatically. I doubt any of the musicians in this band were challenged at all during the recording of this album, which is what an artist should always stride for. Unless you’re a diehard Red fan, I’d recommend downloading the first three tracks and ignoring the rest. The best thing to come from this album? A re-release of “Breathe Into Me (Remix Acustica),” which was originally only found on the rare deluxe version of End Of Silence. This applies to not just pop music. There are quite a few genres that generally fit into this definition, dubstep being one of them. One of the few artists that consistently transcends this definition is Zomboy. 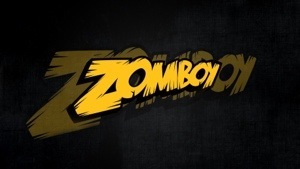 Despite not having released an LP, Zomboy quickly rose to the top of Beatport’s dubstep and drum and bass charts. This success can probably be attributed in part to his similarity to the crazily popular Skrillex (I’m pretty sure he’s even used some Skrillex samples), but he definitely has his own unique style. His second outing, The Dead Symphonic EP, defines his style even better than before. The album dropped in September of last year. It’s got some unneccesarily gross album art (nothing grotesque or gory, just some unneeded creepy zombie figures, mostly silhouettes, but some have some visible wounds), but when you get past that, you find some dubstep gold. The EP is short enough that I’ll do a track-by-track breakdown. Nuclear (Hands Up): Definitely one of the better tracks on the EP, Nuclear starts out with a reggae-ish intro, with the repeated call of “C’mon, now lemme see ya hands in the air.” Obviously not the most meaningful lyrics, but it’s made up for with the excellent drop in classic Zomboy style. The second drop surprised me a little – rather than a remixed version of the first, like most dubstep, Zomboy basically turned the second half of the song into the only DnB (drum and bass) song I like. Definitely a standout track. Hoedown: This track is not great. In fact, it’s pretty poor. It starts off with a generic one-note wobble behind some staccato strings and some generic drums. The drop is introduced with an Angry Birds sample, which is interesting but a little strange. The drop is unique, but I just didn’t like it. There was a little too much high-pitched oscillation for my tastes. City 2 City: I’ve never been a fan of vocal dubstep, but this track works better than most others. Unfortunately, like most EDM with lyrics, the words are pretty meaningless. Still, Belle Humble’s vocals are good despite the emptiness of what’s being sung, and dubstep is really meant only for entertainment and musical artistry, never to make someone ponder lyrics. Thinking sonically, though, the drop would probably be Zomboy’s best if it weren’t for the awkward reversions to the intro that happen occasionally, which really detract from the song. Still, the drop is good, with more bass than Zomboy usually uses, making this still a solid track. The unnessecary use of “2” in the title still bothers me, though. Deadweight: This track isn’t bad, but it doesn’t really stand out. The intro is pretty predictable, and the drop isn’t amazing either, but at the same time, I can’t find anything else bad to say about it. Not a track to skip, but not one to seek out either. Gorilla March: I really can’t stand this track. Not only does it disappoint because it has nothing to do with gorillas (which could have been really cool), but it’s very annoying. The intro is mediocre, and the drop is just a 4-5 note hook replayed with some vocals being sampled crazily fast plus DnB percussion, which I rarely enjoy. I never listen to it all the way through. It’s too bad this was chosen as the closer. “Nuclear (Hands Up)” is a catchy, dancable track, along with “Vancouver Beatdown”, which is very unique. “Hoedown” is pretty repetitive, and has more high pitched sounds than bass, but “Gorilla March” is just awful.